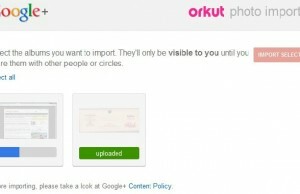 Google+ is now more than six months old but still there is no option to have a vanity URL for user profile. Google+ is also having lot many fake profiles and that’s why it is essential to put the profile or page link on official places.The profile URL on Google+ is much longer and not easy to remember as well and that’s why we need to create a short URL with popular services like bit.ly, t.co etc. We get short, easy to remember URL from these services but still they are not that much personalized and doesn’t look anyway related to Google+. I would suggest a free service to create a vanity URL for Google+ profile page which will look like an official URL for Google Plus profile page. Try gplus.to which looks related to Google+ and is short as well. On gplus.to page, you need to enter the profile ID from your Google+ profile URL and on another box, enter the personalized term which you want in vanity URL. For example, I entered my profile ID which is ‘101186485812857061482’ in the ID box and ‘sanjeevmishra’ in the Nick Name box. 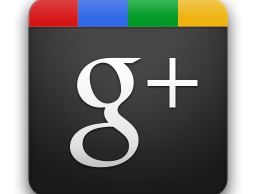 In just a single click, I got my vanity URL for Google+ profile page as ‘gplus.to/sanjeevmishra’. There is no doubt that it is much easier to remember my Google+ profile vanity URL than the normal URL which is ‘https://plus.google.com/u/0/101186485812857061482’. Till Google launches official vanity URL on Google+ social networking platform, go and get your personalized URL from Gplus.to.